Raw Jute Details | S.S. Ali & Co.
Bangladesh is the biggest producer of natural jute or raw jute fibre both in quantity and quality in the World. The recent mapping of the genome of the jute seed by several Bangladeshi scientists working in collaboration, has opened up a new horizon for the jute sector. Jute fiber has high tensile strength and low extensibility, which ensures better breathability of fabrics. Jute fiber also used in the production of fabric which enhance its used in various fields of textiles. We are the leading Bangladeshi raw jute supplier and exporter, mostly deal the two most common types of raw jute fibre – White Jute and Tossa Jute. White jute was traditionally used to make ropes and twines and also a low cost, low quality, fabric for clothes of the poor in the regions where it was produced.Tossa jute fibre is softer, silkier, and stronger than white jute. Tossa Jute has huge demand for industrial use. Tossa Jute is good sustainability in the climate. Tossa is also known as the top quality jute from Bangladesh. We also export Roselle Hemp Fiber (Mesta), and Kenaf Fiber from Bangladesh. Our locational advantage (Bangladesh) gives us the opportunity to supply you the highest quality bastfibres in the world. Rugs and carpets (Carpet Backing). As Pulp to make paper, instead of wood pulp with increasing concern over forest destruction. Felt and webbing made from raw jute. 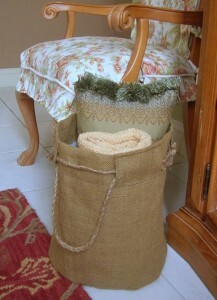 Jute furnishings such as mats, cushion covers and upholstery. Jute jackets, footwear and fashion accessories.